Summer in the South has finally arrived, which means plenty of high temperatures and beaming sunshine. It also means patients need to be reminded of the dangers associated with the sun's harmful rays. 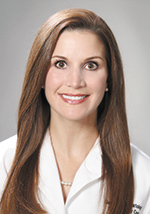 An active member of the American Academy of Dermatology, Lauren Ploch, MD, MEd, FAAD, was raised in New Orleans, received her undergraduate degree and master's from Vanderbilt University in Nashville, completed her medical degree and residency at Tulane and now practices at the Georgia Dermatology & Skin Cancer Center in Augusta. With a lifetime of living and practicing in the Sun Belt, she shared some insights on Vitamin D deficiencies, tanning, skin cancer, and regular screening. A spate of research over the past several years has warned of increasing Vitamin D deficiencies worldwide. More recent research, however, has called into question how many individuals are truly deficient, noting the amount of Vitamin D required varies by individual and that recommended daily allowances are based on the high end of the spectrum. While there are obvious benefits to Vitamin D at the right level to help maintain strong bone health, Ploch said there is another issue with the "sunshine vitamin" that physicians need to address with patients who might think time outdoors without sunscreen is the answer for any deficiency. Noting there are two types of UV rays that reach the earth's surface - UVA and UVB - she said, "UVB rays are what converts Vitamin D to the active form, but only 5 percent of all UV light that gets to the earth's surface is UVB." Ploch continued, "So 95 percent of UV light that reaches earth isn't doing you any good and is dangerous." And, she added, "Tanning beds only emit UVA rays." Echoing the AAD's position statement on Vitamin D, she said patients who actually are deficient should look to food sources and physician-recommended dosages of supplements if needed. "UV light isn't an efficient way to get Vitamin D ... and, in fact, it's a risky way to get it." "We are seeing incidence rates increasing for melanoma," said Ploch, who added that some of the rise is probably attributable to increased detection. Either way, she noted, almost 10,000 people are predicted to die of melanoma this year. "One American dies of melanoma every hour," she underscored. Ploch noted, "You're at an increased risk to develop melanoma if you have a direct family member with melanoma." She continued, "We don't know if it's because of inherited behavior or genetic predisposition ... nature vs. nurture." With an abundance of evidence linking UV rays to skin cancer, Ploch said, "There's really no good reason to lay out outside or go to a tanning bed." The Melanoma Research Foundation notes that studies have shown just one blistering sunburn can double an individual's chances of developing melanoma later in life and that using tanning beds before age 30 increases risk by as much as 75 percent. Recent studies, like one out of the University of Minnesota last year, have suggested indoor tanning through UV light has probably added to the burden of melanoma, particularly among young women. "That's why we're pushing for restrictions on tanning beds in young people under 18," noted Ploch. She added a number of states have begun requiring a parent's signature before allowing minors access to indoor tanning. Which of your patients should use sunscreen? According to the AAD, the answer is simple ... all of them. As long as the sunscreen offers broad-spectrum protection, has an SPF of 30 or higher and is water resistant, the particular type of sunscreen (cream, gel, lotion, spray) is really a matter of personal choice. "I love mineral sunscreens," said Ploch of zinc oxide and titanium dioxide products. "They rarely cause rashes. They rarely cause allergic reactions." She added the vision of thick, white zinc oxide paste on the nose is no longer accurate. "A lot of companies are creating micronized particles so the particles are smaller and not so white. They blend in better," Ploch said. She added, "I wear zinc oxide on a daily basis, and no one can tell." Ploch also noted there are companies creating screens that are a mix of mineral and hypoallergenic chemical sunscreens that might also be a good option for patients with sensitive skin. Ploch is a fan of total body screens. While there are no definitive screening guidelines based on age and frequency, she noted, "I like for patients to come in annually or every-other-year if they have no risk factors." She added that some patients with a strong family history begin annual screens in their early 20s, and those who have had skin cancer should be checked more frequently. Noting that recent research out of Belgium found lesion-directed exams to have a similar melanoma detection rate as a total body exam, she said that the more thorough head to toe screening is still her preference. "With the total body exam, I almost always find something to watch ... to keep my eye on ... and about 20 percent of the time, I find something to biopsy that the patient didn't come in worried about." Ploch said it's always preferable for a primary care practitioner to refer a patient to a dermatologist, even for seemingly innocuous lesions. "It's not a good idea to remove a lesion without a biopsy," she said, adding the results are sometimes surprising. Whether it's a matter of primary prevention or referring patients to a specialist to address any dermatologic concerns, Ploch said pediatricians, internists and other primary care providers play an important role in helping their patients take care of the body's largest organ ... their skin. They are also the first line of defense to remind patients to stay safe in the summer sun. The American Academy of Dermatology will host their summer meeting in New York City from July 27-30. "Summer meeting attendees will have access to a wide range of medical, pediatric, surgical and cosmetic dermatology topics," said Jacob Levitt, MD, FAAD, chair of the AAD Scientific Assembly Committee. "In addition to the latest, comprehensive reviews of recently and soon-to-be-released medications for psoriasis and atopic dermatitis, attendees will receive a reminder of the full range of differential diagnoses and therapies at their disposal that they can bring back to their patients." Levitt noted a number of hot topics would be covered, including information on T-cell therapy for B-cell mediated diseases; the burden of skin disease in the United States; the evidence behind platelet-rich plasma procedures; and the pathophysiology of atopic dermatitis, psoriasis and melanoma and how to use targeted novel therapies to treat patients with these diseases. "Hands-on sessions allow for acquisition of new skills post-residency - especially nail surgery, wound repair, and filler injections," he added. Early bird discounted registration rates are in effect until 12 p.m. Central on June 21. From that point until July 19, registration is available at the standard rates. After July 19, on-site registration will be required. For more information, go online to .